Dozens of iTunes users in the Southeast Asian country report that they have lost hundreds of dollars due to charges recorded to their accounts for purchases they did not make. According to Channel News Asia, two people say they were charged the equivalent of around $5,100 to iTunes on their bank-connected credit cards. The bank, Oversea-Chinese Banking Corporation (OCBC) reported 58 cases total of the fraudulent charges. A customer at another bank, DBS, told the news organization that six fraudulent transactions led to his account balance being "completely wiped out." Apple Singatore told Channel News Asia that it is "looking into" the charges, and has nullified the purchases. Several of the charges were in the amount of exactly $112.03 in Singapore dollars ($82.22). Another customer reported the charge showing up on his phone bill, charged to "iTunes orders." Apple has of late made a strong push into Singapore. 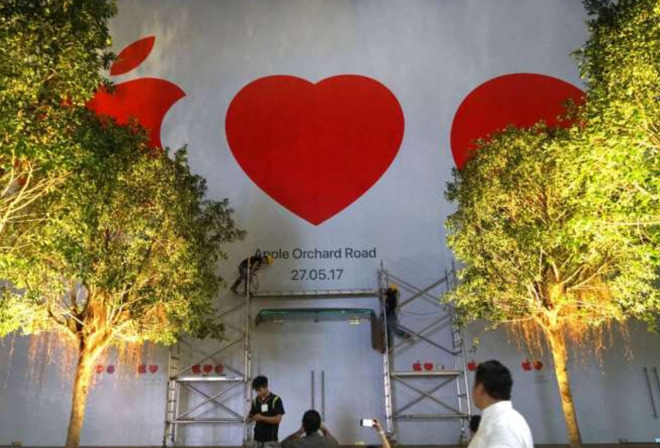 It opened its first Apple Store there last year, with an "Apple Loves Singapore" insignia in front of the store as it was prepared for opening- and it also added transit directions in that country to Apple Maps. Apple has refunded many of the charges, but not all. The company also says that it is looking into the situation.